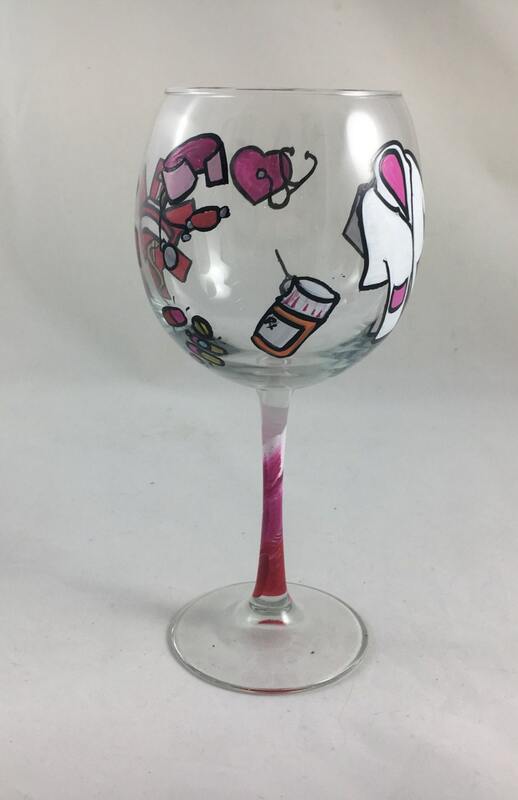 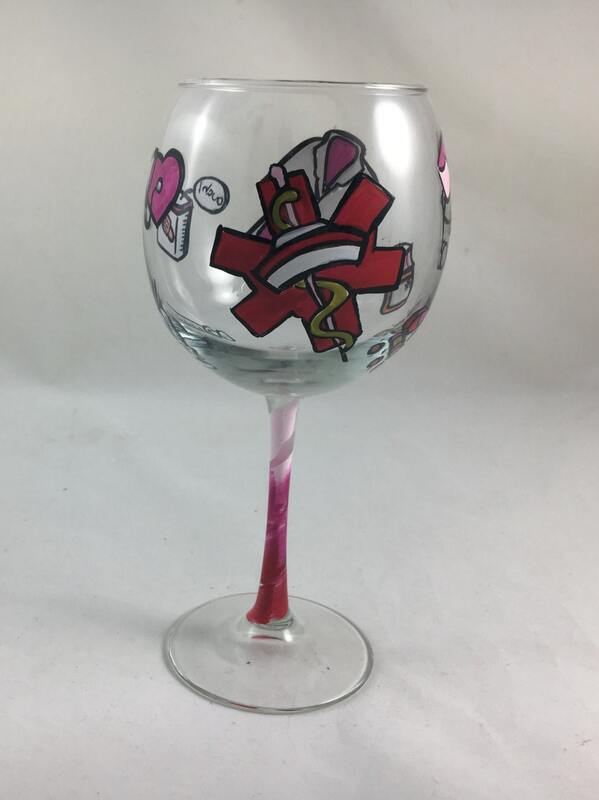 Part of our Career themed hand painted wine and beer glass collection. 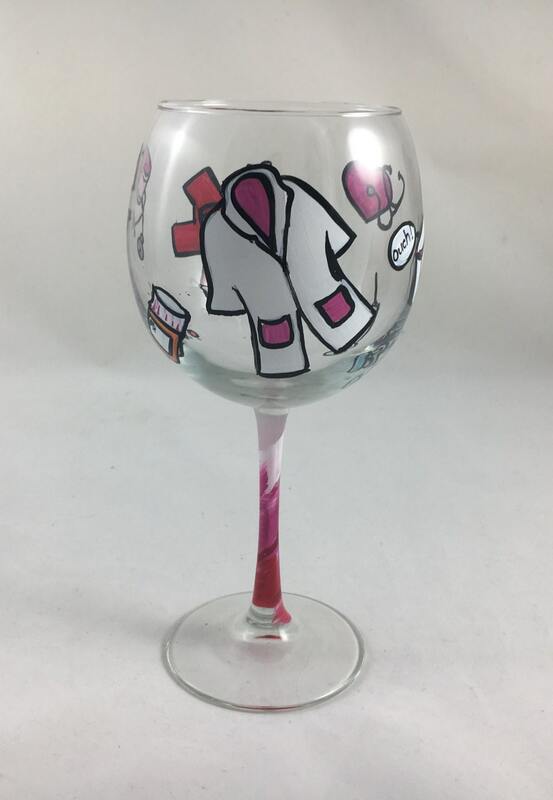 The Doctor glass makes a great graduation or holiday gift. 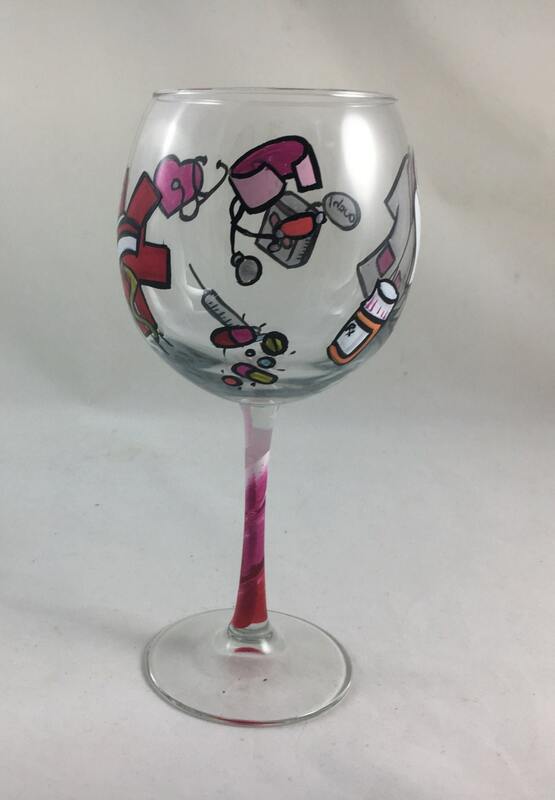 Can be painted in your choice of color, with your personalizations. 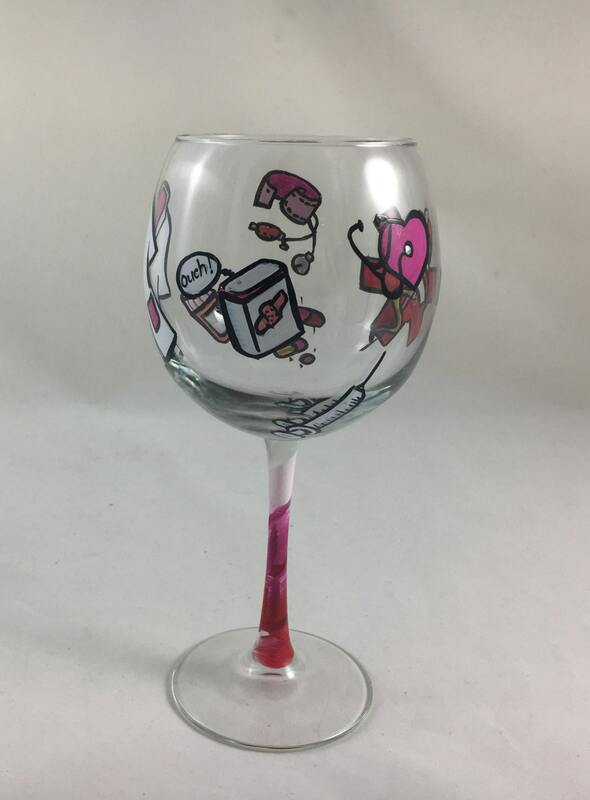 Please feel free to ask us for whatever you would like on yours.